I was sipping wine at Vintry the other day when a few at the table were inquiring about wine courses in Singapore, particularly the WSET series of wine courses. I did agree to get some info on current course providers for the year 2011 and found two in Singapore. These wine courses are internationally recognised and needless to say, quite a few wine sommeliers and wine sales people in Singapore have pursued these courses over the last few years. 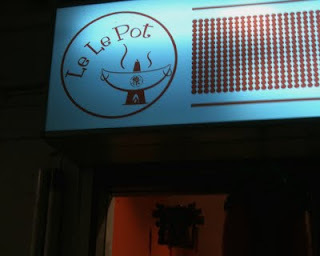 Care to BYO wine to a steamboat eatery? The eatery will provide ice buckets for your whites and bubblies (wine types which should go well with the dishes available). You have to however bring your own wine glasses (a reasonable trade-off I think since there is no corkage involved). Wines from an unexpected origin, India. You don’t as yet see many of these in Singapore's wineshops. The last time I tasted some wines from India was during the Hong Kong Wine Exhibition two years ago. 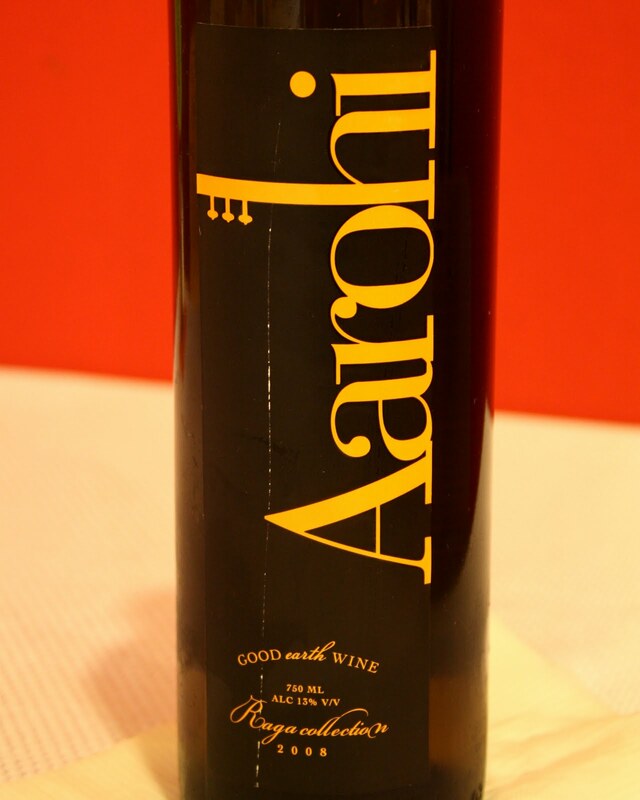 A good friend of mine Aaron recently spent a short stint in Mumbai and brought back two wines produced by a new winery called the Good Earth Winery. Owned by Girish Mhatre, this winery is a new addition to the wineries in Nashik, in the state of Maharashtra (India). Founded a few years ago, 2008 is its first vintage. It does not as yet have a ‘physical presence’ (like owning its own vineyard or having its own production facility). Instead it purchases good quality grapes from farmers in Nashik (a place known for its cool micro-climate and well drained soil) and uses existing facility of another winery there to produce its wines and bottle them. At present four wines are produced by Good Earth. In the premium Concerto collection exist the ‘Basso’ made from cabernet sauvignon and the ‘Brio’ made from shiraz. In the easy drinking Raga collection one finds the ‘Antaraa’ (a blend of cabernet sauvignon and shiraz), and the ‘Aarohi’ a white made from sauvignon blanc. 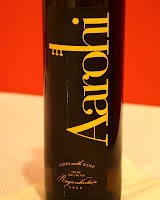 Aaron brought back the 2008 Aarohi and the 2008 Brio for us to taste and discover how these varietals show themselves in a relatively new wine region they ain’t famously known for. 2008 Good Earth Winery Aarohi, sauvignon blanc. Made in stainless steel containers, it shows light straw yellow colour, with strong aromas of herbs and grass. It reveals a light to medium body, medium acidity, flavours of grass, herbs and guava on the palate, and possesses a short finish. (A wine-bit: Sauvignon blanc is one of the varietals which is at ease in expressing itself differently depending on the soil composition of the region in which it is grown and the wine making style adopted. If you get the opportunity, do try sauvignon blancs from different regions like Marlborough, Adelaide Hills, Pouilly Fume and California to appreciate the different nose and palate profiles this varietal is capable of). Purple red in colour, the first nose hits you with strong aromas of a spice box with an assortment of spices, which is then later followed by black pepper and black fruit notes. Medium bodied, the flavours also follow through with pepper and ripe black fruit notes. The mid-palate and finish reveals notes of coffee and cassis. The wine has been aged a year in new oak barrels. This red needs to breathe a little in a decanter to come together and show itself. It would be too early to say if the character profile of these wines are similar to wines produced by other producers in this region. That would require further tasting of wines from Nashik in the near future. The current wine industry in India using international varietals such as cabernet sauvignon, shiraz, sauvignon blanc and chenin blanc is a very young one. Though at present a handful of wineries are making their presence felt in the US and European markets, the rest need time to grow. One good thing these wineries have in their favour is a growing local market (centred at the moment within cities like Mumbai, Delhi, Bangalore and Goa) which possesses the means and interest to consume wine. Singapore Polytechnic and Wine Resources are commencing the 23rd intake of this local wine course. It begins this month. Course covers 3 modules: Wine knowledge and service module, Business module, Sommelier module. (Wine tastings are included as part of this course). Talk about Piedmont and its the red wines like Barolo, Barbaresco and others made from Dolcetta and Barbera which easily comes to mind. These red wines are easily accessible in Singapore and were wines which I could lay my hands on for some time. Among the Piedmont whites the first one I had the opportunity to taste was the sparkling white, Moscat d' Asti. (Quite a few consumers will attest to the popularity of 'Villa M' over here in the local market). However the dry whites are another matter. Its only these last 4 years that I get to see more gavi and arneis wines (albeit still from a handful of producers). One reason for this positive change can be the fact that there is an increase in the number of wine importers and wine retail outlets bringing wines from non-traditional sources. Certainly good news for consumers here, I must say. Wine-bits: Called a 'Gavi' wine it is named after a town of the same name 'Gavi', It is made exclusively using the Cortese grape varietal. This wine is produced in the Piedmont region in an area which extends from the village of Novi Ligure to the lower hills of the Ligurian Apennines, and produced in the villages of Gavi, Bosio, Novi Ligure, Francavilla Bisio, Pasturana, Parodi Ligure, Capriata d'Orba, Carrosio, San Cristoforo, Tassarlo and Serraville Scrivia. However wines labelled 'Gavi di Gavi' are produced exclusively in the village of Gavi (within the province of Alessandria). 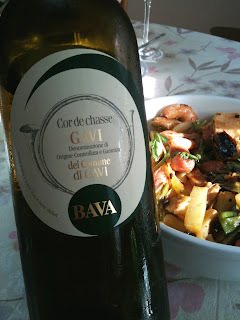 The 2008 Bava Gavi di Gavi Cor de Chasse, DOCG. I was able to purchase a couple of bottles from Crystal Wines recently. Its not of a wine style which requires deep thoughts over its nature. Instead, one should just drink and enjoy this one. Its light, subtle, easy to approach and almost neutral. It showed straw-yellow colour with subtle flavours of citrus and grapefruit, revealed a light body made crisp with acidity and showed good balance. The finish hints at lime rind notes. Its a subtle wine which works great as an aperitif, and also as an accompaniment to food with low to moderate flavour intensity. I tried this wine with salad, sashimi, sandwiches, aglio olio pasta and even fried oyster omelette dish from the neighbourhood hawker centre and it paired well. Brought a bottle to Sin Hoi Sai eating house at Tiong Bahru to go along with some seafood dishes there and it did not disappoint me either. It also makes for a decent drink during hot afternoons (you can easily do half a bottle on your own without feeling overwhelmed). Next time you swing by a wine retail outlet, be adventurous and check if it retails a Gavi wine. Italy certainly has more than pinot grigio to offer in term of its whites. Its a handy bag to have. Recently I have seen these PVC ice bags being used at a few trade tastings to chill wine instead of ice buckets. It makes a neat gift as it can be used to carry a bottle, chill it and after use you can fold it away. 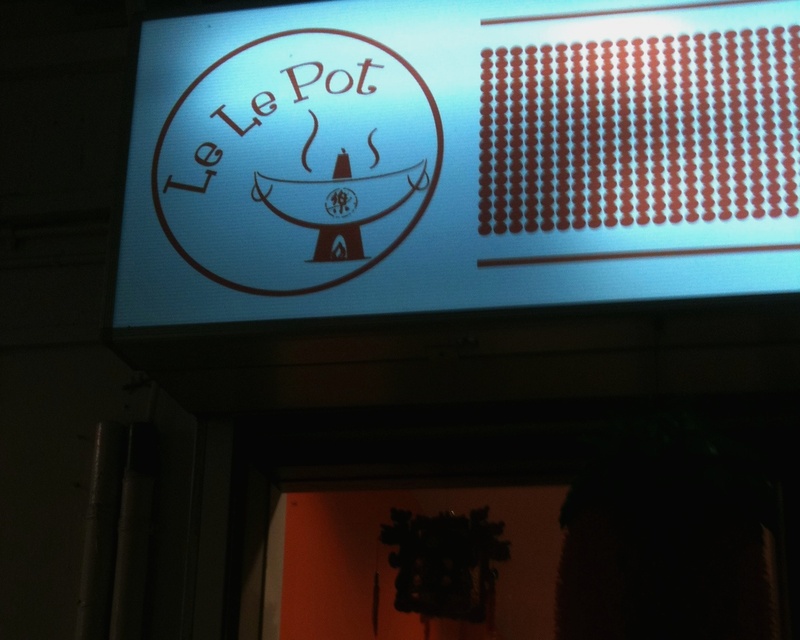 I've used these a couple of times when dining at neighbourhood hawker centres with friends. Its a convenient item to have. Just buy some ice and add water into these bags and your white wines get chilled to the right temperature; and they take up less space at the table than ice buckets.